"The waiter got killed before he could drop off the bill." Who wouldn't be sucked into a story with an opening line like that? Jack Ketchum gave a guest lecture - at The Odyssey Fantasy Writing Workshop in 2009 - about the importance of a killer first line. 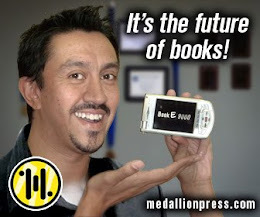 He went so far as to throw a book at someone in order to demonstrate how important it is to get their attention right off the bat. If Ian Rogers had been at that workshop, I can guarantee the would have floored everyone there. I know I was when I opened this chapbook for the first time. And that was only the beginning. Felix Renn is a private investigator in a supernatural world, and alternate reality where a dark dimension called The Black Lands co-exists alongside our own. Travelling to and from The Black Lands is dangerous - and illegal - but that doesn't stop some of the creatures that reside there from crossing over into our world from time to time. After a man goes berserk in a posh Toronto restaurant, Felix suddenly finds himself torm between both worlds as he is drawn into a deadly game of movies, murder, and monsters. That synopsis doesn't even begin to touch upon how great this little, 37 page chapbook really is. The power of Rogers' wit and the imagery that he manages to pack into such a tight little bundle, is much larger and well honed than a chapbook can possibly fathom to contain. It's a shame that the book wasn't longer, that's for sure, as Rogers only begins to touch upon something that begs to be fully fleshed out in a much longer format. The main character - Felix Renn - is among some of my favorite characters of all time. An anti-hero of sorts, Renn has unquestionable ability to hold his own as life slings crap at him from all directions, while delivering witty and sarcastic remarks pertaining to what is going on in the moment. His one liners are the stuff of a writers dreams, rarely ever axhieved with such perfect timing and pinache. This is only one of the reasons why this story should be turned into a multi book series. Rogers has definitely created an incredibly memorable and interesting character with Renn. With an acerbic wit like that, I doubt anyone would be able to forget him any time soon. That said, I strongly encourage anyone and everyone to get ahold of this little gem. It's surely an incredible introduction to what Canada has to offer by way of horror authors. You can pick it up from Burning Effigy Press for $8(Cdn), or try to grab a copy at the Festival of Fear - happening this weekend (Aug 26 - 28) at the Metro Toronto Convention Center, presented by Rue Morgue Magazine. It's should also be noted that another Felix Renn story will be available via Burning Effigy in Sept 2010 called "The Ash Angels" and another in the Canadian horror anthology - Chilling Tales - in March 2011 titled "My Body". Ian is also currently working on an "X-Files meets Arrested Development" - Sci/Fi Satire, after which he will promptly get to work on a full length Felix Renn novel - lest he be banished to The Black Lands, himself. Follow Ian Rogers on Twitter, or check out his website. Also, check out The Black Lands website here (coming soon). 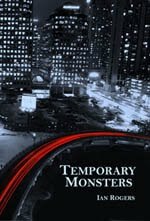 I loved, loved, loved Temporary Monsters. Totally agree with you about Renn being one of those unforgetable characters and I am waiting to get my little hands on the other chapbook and the short story as well. Awsome review for an amazing little tale.